According to the football transfer rumours in Italian Media, Manchester United are leading the chase for Lazio defender Stefan de Vrij. Stefan de Vrij has joined Lazio from Feyenoord for a fee in the region of 7 million euros in 2014. The 24 year-old has a valid contract with Lazio until June 2018. Since his arrival from Feyenoord, Stefan de Vrij has scored two goals and provided one assist in 56 games for Lazio, including one goal in 16 games in all competition this season. The 24-year-old is considered to be one of the best defenders in Holland. 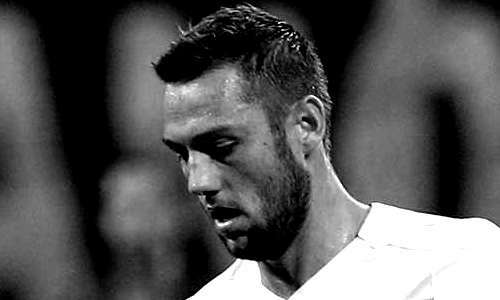 Stefan de Vrij has represented Holland at Under-17, Under-19, Under-20 and Under-21 level, winning 40 caps, before making his senior international debut in August 2012, winning 30 caps and scoring 3 goals. The Holland international is a player who has impressed many European Clubs in the last few seasons, and it is understood that Manchester United manager Jose Mourinho would prefer playing him as a central defender. Premier League giant Chelsea and AC Milan are apparently trailing Manchester United in the pursuit of Lazio defender Stefan de Vrij. Euro Football Rumours were informed that Stefan de Vrij wants to leave for a bigger club at the end of the season and that Manchester United is believed to have a verbal agreement to sign De Vrij for around 35 million euros. How strong that interest is and whether Manchester United will make a summer move remains to be seen but it is certainly one worth keeping an eye on. For all transfer rumors, news and much more regarding European football stay tuned to us at eurofootballrumours.com.